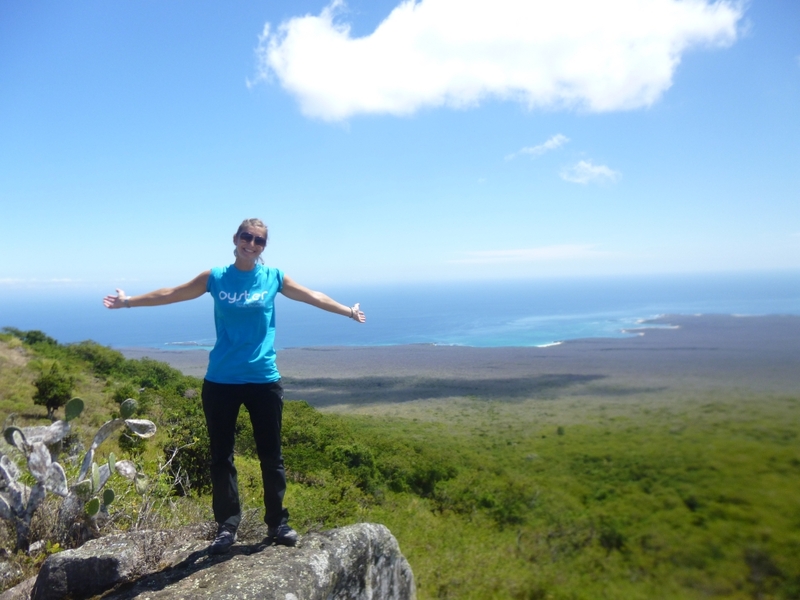 I have recently returned from Ecuador where I was visiting four new volunteer projects. Before I went, the team at Gap Year Travel Store were kind enough to recommend some great items which would be really useful for my travels. Several of these have revolutionised my travelling life! 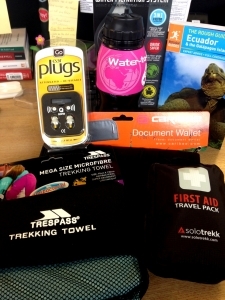 Read below for my top volunteer trip kit recommendations. The Water-to-Go bottle contains a filter, which means that whatever water you put in the bottle (with the exception of sea water) will be cleanly filtered. This was fantastic whilst I was in the rainforest, but also when going to places where I wasn’t sure if the water had been filtered. It is a great back up for anyone who might have a nervous stomach and just “wants to make sure”. These ear plugs are fantastic. They have two “settings” – one to block out loud snorers (perfect for on the plane or sharing a dorm) and one to block out background noise (ideal if you are staying in accommodation on a busy road). I couldn’t recommend these enough. How have I been on so many volunteer trips and not taken a trekking towel before?! This was quite possibly the best travel buy that I have made since good walking boots and a good waterproof. The towel rolls up incredibly small and is dry almost as soon as you hang it up. It is as large as a bath towel too, so feels pretty luxurious. It took up about 1/2 of the space that my usual beach towel would. I loved the Solotrekk first aid kit. For years I have been cobbling together my own first aid items and ramming them in small spaces in my rucksack. I kept forgetting essentials, realising only when I was overseas in the middle of remote nowhere! This first aid kit is created specifically for people travelling, and as such is perfect for anyone on volunteer trips. Everything was tucked in well and easy to use. Top recommendation! I initially thought that this was a bit of a gimmick, but over 2 weeks of backpacking around, I realised that it made my life so much easier. I stored travel money, passport, pens, travel insurance details, e-ticket and loose change in here. It was compact, always accessible and really handy. Volunteers travelling with Oyster Worldwide are lucky enough to get a 10% discount at the Gap Year Travel Store, so do use their website to get the kit you need for your volunteer trip. Next Post Will Brexit affect the travel industry?